In Ireland the calendar is slightly different to those in other parts of the world. November, December and January are the winter months. Following this pattern through, February is actually the first month of spring. So, after the salmonid season closes and it is October, winter isn't far away. That is the best time to catch pike. Winter in Ireland is usually associated with short, miserable days, lots of wind and rain. But there are other ones too. 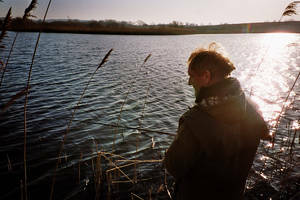 Those are the days when I want to be fishing for pike. Esox Lucius, as the fish is called in Latin, is to be found in almost every part of Ireland. In rivers and Lakes. 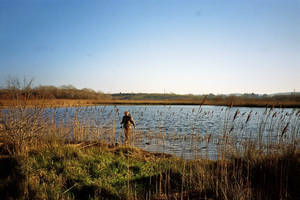 Particularly the Erne-Shannon complex is regarded as a pike angler’s paradise. But the big predator is by no means a native species. First mentioned in the 11Th century, it is believed to have been introduced by the Normans. No matter, whether you go afloat or fish from the banks, full moon periods should be avoided, for some reason or the other they just don’t take. Mostly, because there is only one rule in angling and that is: there is no rule. Pike fishing on such a clear, crisp winter day can be very rewarding, not only for the lungs, they are getting a bit of fresh air again, but also for the angler’s ego and spirit. Once you haven’t been out fishing for a couple of weeks, there is this feeling that something important in life is missing. Catching a pike gets rid of that immediately. 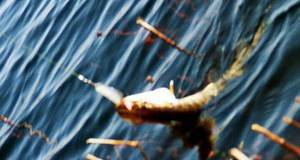 No question: the most exciting way to catch pike is with a streamer and fly-rod. But there are days, when spinning is a very soothing affair. Casting out the lure, winding in, casting out again all this is almost monotonous, until a fish takes and wakes you up. Now you are happy that you brought a landing net, pliers and a gag. Because if you want to put your pike back, often the most difficult thing is to get the hook out of the teeth studded mouth. 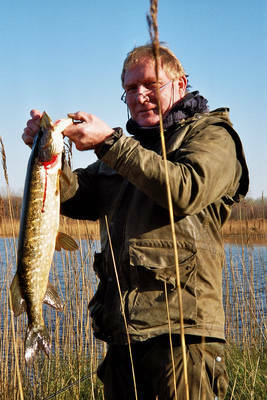 A lot of Irish anglers wouldn't even go near a pike, call them crocodiles and regard them as vermin. Well, when you are spoiled with trout and salmon all the time, there might be a slight hesitation to bring pike to culinary use. But there is a real delicacy made from esox: pike-ball soup. A perfect dish for those long miserable, stormy, rainy and cold winter evenings.